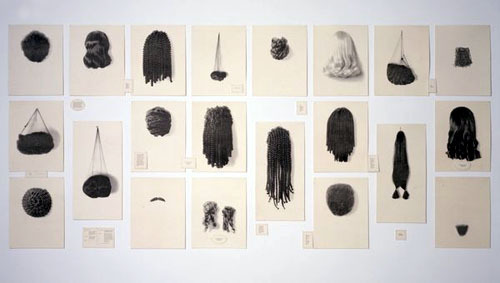 Lorna Simpson, Wigs, waterless lithograph on felt. Walker Art Center Collection, T. B. Walker Acquisition Fund, 1995. Ann Hamilton, Tropos An installation invloving the filling of a warehouse with horse hair. 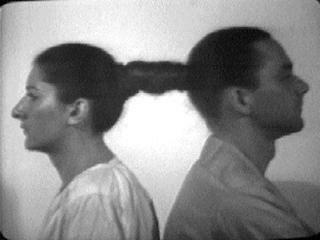 Untitled (Facial Hair Transplants), Ana Mendieta, March-April 1972/1997.